The Traveler’s Bed & Breakfast Hostel, 1502 South Las Vegas Boulevard, offers a simple, functional and cheap Las Vegas service. 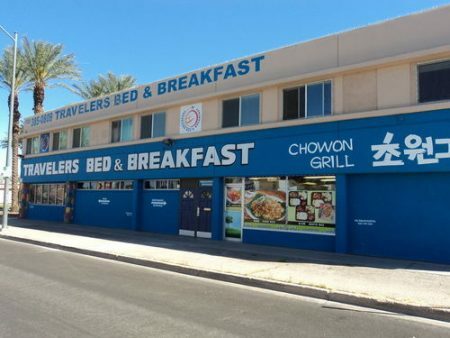 The Traveler’s Bed & Breakfast Hostel is a budget Las Vegas lodging, which lies around 2.5 kilometers from the Las Vegas Convention Center and 6 kilometers from the legendary Las Vegas Strip. 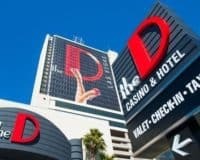 It may not be the most luxurious place in the world, however, it offers rooms in Vegas at an affordable price, making it a great option for those who don’t want to break the bank during their stay. The hotel provides a limited range of amenities, including free parking for those who bring their own vehicle and easily accessible WIFI that can be found throughout the property. Along with a 24-hour front desk, which will solve any problems, you may have and free breakfast to start your day off in the right way. The rooms are functional providing comfortable beds, clean bathrooms and flat-screen televisions that are equipped with cable. 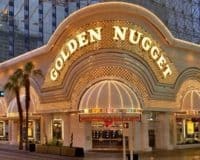 The hotel also offers various other things such as free toiletries and a hairdryer: there are more opulent rooms in Las Vegas, however, it is an excellent choice for those on a budget. 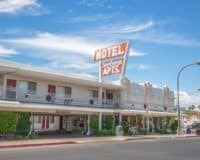 The Traveler’s Bed & Breakfast Hostel is ideal for those who don’t want to spend a lot during their time in Vegas, it forgoes most of the amenities and luxuries that really add to the price of hotels, to offer a simple, functional and cheap Las Vegas service. Within 1 mi (2 km) of Las Vegas Premium Outlets and the Little White Wedding Chapel.